You may assume that all dogs must know how to swim because nature must have blessed dogs with good swimming genes for the purpose of upping their chances for survival. After all, wasn't the term "doggy paddle" crafted from a dog's ability to swim? Not so fast though. Turns out, nature may have little to do with the poor swimming abilities of certain dogs. What's to blame instead is selective breeding by humans. When humans met canines many years ago, humans decided to play with genetics to make certain dogs excel at certain tasks. Among these tasks, were several that involved having dogs working in the water. Humans therefore selectively bred certain dogs to be the canine version of mermaids, while other dogs were crafted for other non-water related functions. This made the difference between great swimmers and dogs gifted with the buoyancy of a rock! If you are not sure if your dog knows how to swim, don't just push him in a pool and see what happens. Take precautions to prevent him from drowning and ensuring he won't have a negative experience in the water. Chances are, with a little help, he'll understand what to do to stay afloat. While there are dogs who know exactly what to do in the water, some need a little help, while others should difinitively never be allowed close to water, unless they're wearing a life vest. Following is a lost of the best swimming dogs and dogs you should absolutely avoid exposing to water. This quintessential water dog was developed in Scotland and was bred for locating and returning hunted waterfowl. 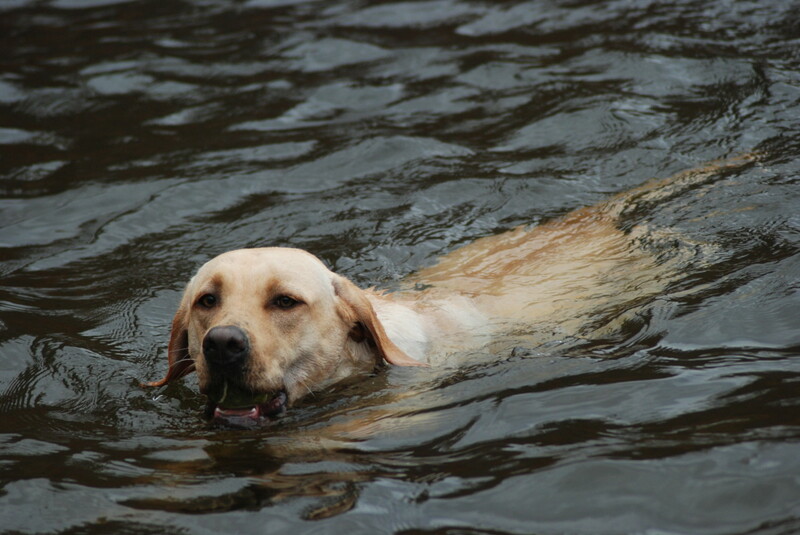 Retrieving often encompassed diving into water to retrieve downed fowl and returning it to the hunter with a soft mouth. This popular dog breed is known for enjoying water. Their fondness for water derives from their past when they were used for hauling nets, ropes, and fish from the chilly North Atlantic waters.These dogs have a short, smooth and waterproof coat that helps repel water. As the name implies, these dogs were also utilized for retrieving birds, but this time we're mostly talking about ducks in the icy waters of the Chesapeake bay. 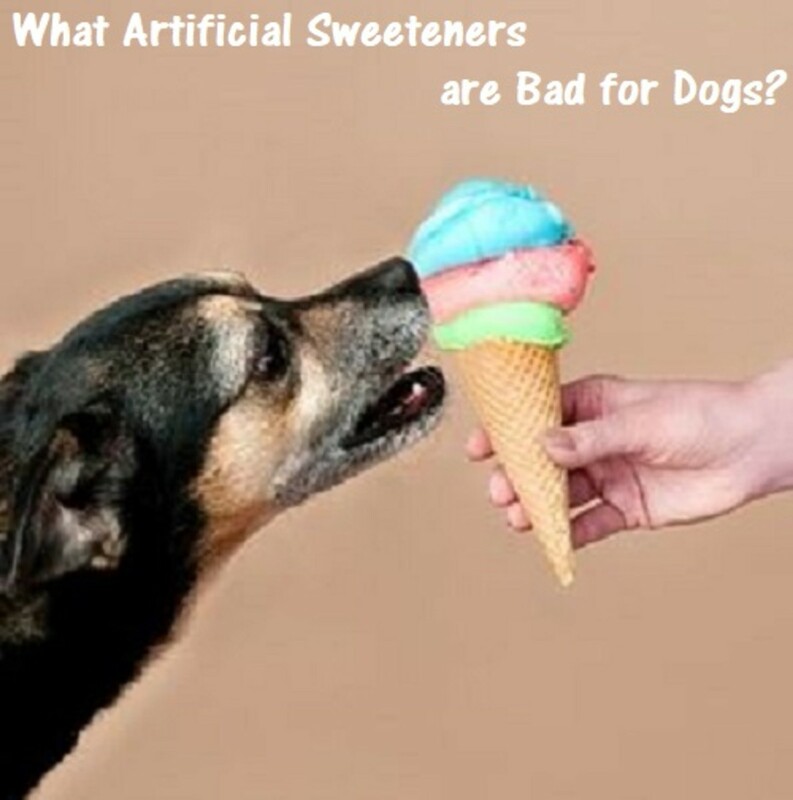 These dogs are also known for having webbed feet and a thick waterproof outer coat. As other retrievers, this breed was bred to retrieve waterfowl in the early 19th century. Don't be fooled by this breed's smaller size though; these dogs have webbed feet, a water-repellent coat and are excellent swimmers who can easily beat the larger retrievers. These dogs were selectively bred to jump in the frigid waters of Canada to help local fishermen in many duties. Their tasks included retrieving fishing nets and saving the occasional person who went overboard. These dogs have webbed feet, and are often utilized today to help the Coast Guard rescue people. While this breed was fairly uncommon, today his popularity has grown after being welcomed to the Obama family. Selectively bred to haul nets and herd fish, this dog breed is a natural swimmer blessed with webbed feet and a waterproof coat. Despite their sophisticated looks, many people fail to recognize that poodles were originally bred in Germany to be water dogs. Indeed, this breed's name derives from the low German word " Pudelhund" which means "to splash about." In France, these dogs were used as a water retriever. These dogs make agile swimmers blessed with a moisture resistant curly coat. Of course, there are many other breeds who love water. Many spaniels love water such as the American water spaniel, Irish water spaniel and cocker spaniel. While spaniels were bred to flush game out of bushes, in the late seventeenth century they were upgraded to work as water and land breeds. Additionally, many dogs can be taught to love water by making it a positive experience. 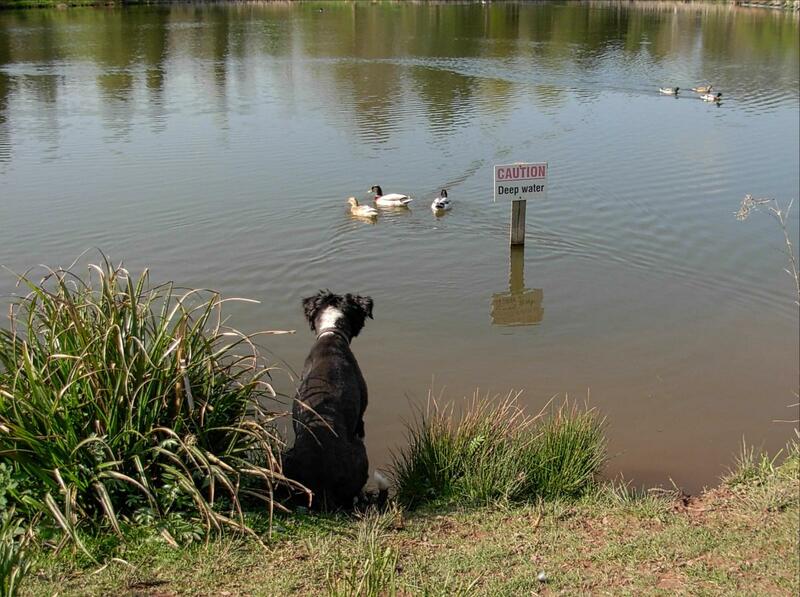 However, as mentioned there are some dog breeds that owners should practice extreme caution when around water. Have you seen my rubber ducky? On the other hand, we have dog breeds who are non-adept to swimming. These dogs are poor swimmers, more likely to sink, mostly because they have heavy-fronted bodies, short faces or short legs. These dogs are at risk for sinking, and it's more a matter of body conformation rather than getting acquainted to the water, so no number of swimming lessons is likely going to help for most of them. Of course, there are those rare exceptions to the rule, but swimming can be risky business for these dudes. The only way they should be swimming is wearing a life jacket and even then, they require 100 percent supervision. If you have a pool, make sure to keep it gated to prevent these fellows from falling inside. These dogs are at such a high risk for drowning, rescues make sure their potential adopters don't have a pool, or if they have one, it must securely gated so these dogs can't have access to it. 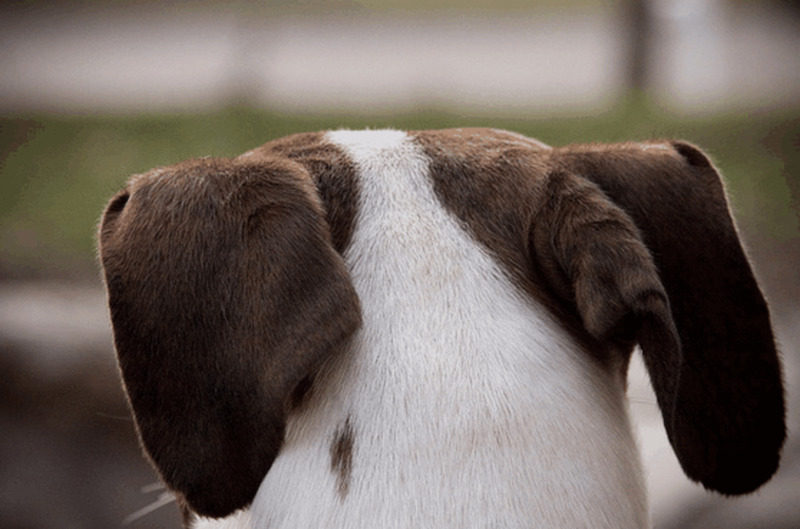 The main fault is their conformation: English bulldogs have a deep, heavy chest in relation to their hindquarters, short legs and being brachycephalic, they have a hard time breathing and get exhausted pretty quickly. While you may occasionally stumble on videos of bulldogs swimming, consider that this isn't the norm. French bulldogs may know how to swim, but they don't last long because of their heavy heads. They may manage to paddle for a little bit, but after a while they're likely to sink, and once they sink, they cannot come back up. Some say that putting a frenchie in the water is like tossing a brick, they just sink to the bottom. By the way, the French bulldog nickname as frog dogs comes not from their swimming abilities, but because of the way they lay their back legs to rest at times. 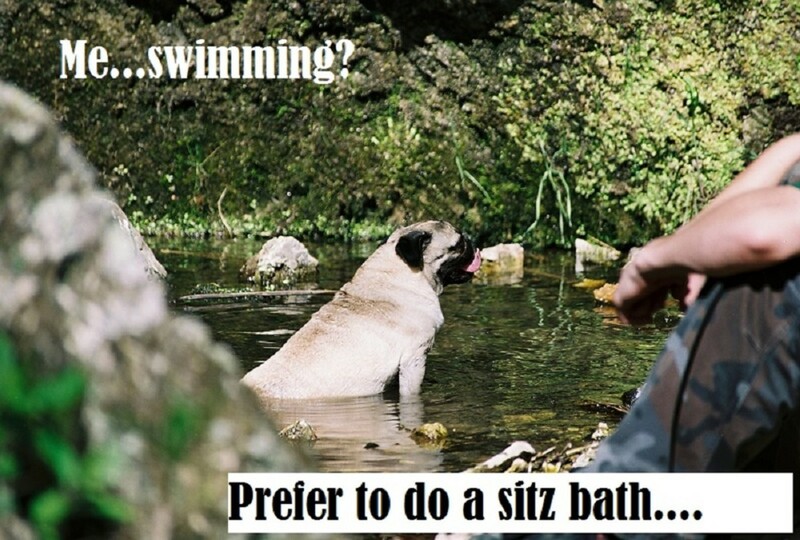 Even though pugs are known for being inquisitive explorers, pool, lakes and ponds should be kept out of reach as pugs have a tendency to be poor swimmers. The problem with pugs is that like the English bulldog, they have short noses and their front body is heavy. There are pug-sized life jackets if you want your pug to join you for a little bit, but only do so under close supervision and watch for signs of overheating or tiredness. While the basset hound doesn't have a short nose like the pug or bulldog, his, low heavy structure puts him at a disadvantage in the swimming department. It's estimated that about 2/3 of a basset hound's weight is carried in the front of their body, and then, they also have short legs. They may be able to paddle for a bit, but staying afloat can be a challenge for this breed. Finally, there are some dogs who fall in between. These are dogs who aren't the top swimmers, but with a little help, can learn how to swim and enjoy spending some time in the water. Some are little worse than others though. For instance, greyhounds are capable of paddling and managing to swim, but according to Greyhound Pet Adoption Northwest, their lean structure (less than 4% body fat) and very short hair makes them less buoyant than other dogs. They may tire quickly as they're not built for endurance but for sprinting. While some greyhounds may not enjoy swimming, some are excellent swimmers. On the other hand, many claim that dachshunds are poor swimmers due to their long bodies and short legs. However, despite often being listed as poor swimmers, consider that dachshunds are challenged in “water tests” in many European countries and this often entails swimming and retrieving from water. Taught properly, they might not be able to compete with the popular swimming breeds but they can manage to paddle and have fun too. Some dogs are able to swim but they aren't suitable for spending time in the water. For instance, small pooches like the the Maltese, Yorkshire Terrier, Pekingese, Shih Tzu or Chihuahua, may be able to swim, but these dogs chill easily and can becomes frightened of the water if not introduced properly.They also may tire quickly compared to larger dogs. As seen, the planet is populated by dogs who swim, dogs who sink, and dogs somewhere in between. As always, practice extreme caution: supervising dogs near bodies of water and providing them with a life vest as necessary. Did you know? According to a study conducted by Dr. Frank Fish, a professor of biology at West Chester University, a strong similarity was found between the doggy paddle and the trotting gait dogs used on land. When dogs trot, their legs move at a faster pace than a walk and their legs move in a diagonal pattern. When dogs swim, they move their legs in a similar fashion, only faster and with their legs moving beyond the range of motion as seen in the trot. This suggests that swimming required dogs to modify the basic movement they used on land therefore, it's not as natural as walking or using other gaits. Is your dog more likely to sink or swim? Prefer not to figure out. Has your dog developed diarrhea after spending a day at the beach? Is the diarrhea projectile? Then suspect beach diarrhea. Is your dog scared of water? 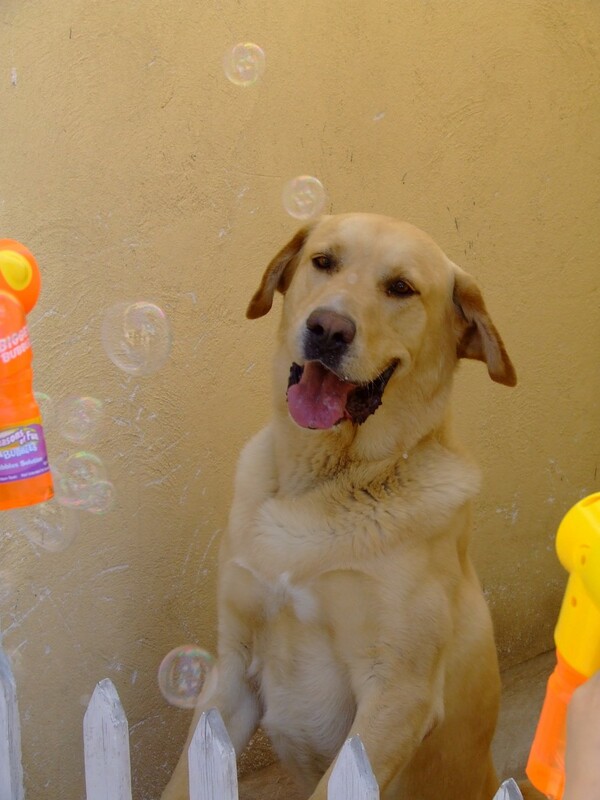 Wondering how to give your big dog a bath? Make it fun by using this step-by-step guide and tips! Dog Sun Tan Lotion, is it Necessary? When summer is around the corner or in full swing, we do what it takes to protect our skin from harmful rays, but what about Rover? Do dogs really need sun tan lotion? And if so, what kind? The beach can be a fun place to play with your dog, but you must be aware of many dangers dogs are exposed to at the beach. Drinking salt water, eating shells and the effect of the sand are a few. Can you throw a baby puppy in a pool and they will swim with no help? Some dogs just love the water. There was one dog in my childhood neighborhood who would just jump in and out of the pond all day long. We are not swimmers ourselves, so are dogs get very little opportunity to try. We have a Siberian Husky which I guess would swim if it absolutely had to, but probably wouldn't bother itself with going into the water. Your list makes sense to me.